Unknown Flemish artist, active mid-17th century, The Repentant King David, 1650, oil on canvas, Gift of Dr. and Mrs. Edwin Binney. 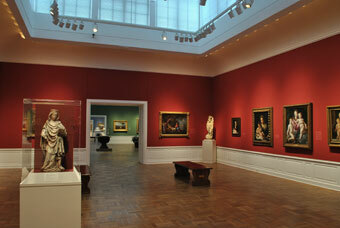 Since the Museum’s founding in 1892, European art has been at the core of the permanent collection. Museum founder Henry Corbett gave $10,000, which helped purchase the first acquisitions to the permanent and European collections: 100 plaster casts of Greek and Roman sculptures. The sculptures were chosen by Museum founder Winslow B. Ayer, who spent several months selecting works for the Museum from galleries and museums in Europe. In 1895, the Corbett Collection, as the casts were known, was installed. An instant success, the collection was considered Portland’s most important and popular cultural resource. Today, the collection occupies a sequence of galleries on the Main Building’s second floor allowing visitors to follow the works from the 17th century back to Classical Antiquity or forward to the 19th century. A gallery of classical antiquities displays a selection of Greek, Roman, and Etruscan objects, including red- and black-figure vases, small bronzes, and glass drawn from the Sally Lewis Collection donated to the Museum in 1926. Several important paintings were acquired in the early decades of the 20th century, but it was through two significant bequests, the 1935 Winslow B. Ayer bequest and the 1943 C.F. Adams bequest, that the Museum acquired the French 18th-century Impressionist paintings at the core of the European collection. In 1961, the collection expanded to include the Renaissance and Baroque paintings and sculptures, gifted by the Samuel H. Kress Foundation, that anchor the representation of the stylistic evolution of European painting from the 14th through 19th centuries. Gifts from generous supporters and select acquisitions continue to expand the scope and quality of the collection. 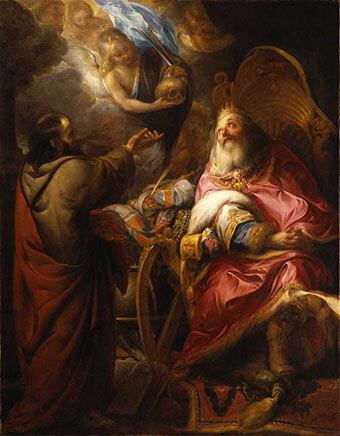 Major additions of Baroque art include Portrait of Cardinal Domenico Rivarola by Anthony Van Dyck, Volumnia Before Coriolanus by Rembrandt’s student and friend, Gerbrand van den Eeckhout, and Spirit of the Dance by Jean-Baptiste Carpeaux. The French holdings from the collection’s beginning have been supplemented by recent purchases of French 17th–century masters, including paintings by Philippe de Champaigne, Michel Corneille, Jacques Stella, Jean-François de Troy, Jean-Baptiste Greuze, Jean-Honoré Fragonard, Gustave Courbet, and Camille Corot. Joining an art council is the best way to explore a favorite genre, region, or period of art. As a council member, you’ll learn directly from curators, go behind the scenes of the collection, and connect with other Museum supporters who share your interests.